International Journal for Social Studies is a peer-reviewed journal freely available online. The aim of the IJoSS is to publish articles that contribute significantly to the body of knowledge. It publishes both theoretical and empirical articles and case studies relating to sociology, political science, history, law in society and related disciplines. Published articles use scientific research methods, including statistical analysis, case studies, field research and historical analysis. International Journal for Social Studies may target scientists, researchers, professors, students and policy makers from sociology, political science, history, law in society and related domains. International Journal for Social Studies is an international, scholarly open access, peer-reviewed and fully refereed journal focusing on theories, methods and applications in Social Studies Education. As an online-only journal it is devoted to the publication of original, primary research (theoretical and empirical papers) as well as practical applications relating to Social Studies Education. International Journal for Social Studies is an international journal dedicated to social studies. he purpose of this journal is to provide a forum for reporting on research relating to social studies content, teacher education, and technology. Although research reports and theoretical articles which address social studies technologies in teacher education are the main focus of the Pen2Print Journal, we are also interested in publishing scholarly research on social studies teacher education that makes creative use of technology in the presentation of the article on the Web. Because the journal provides a unique opportunity for dialogue, we encourage commentary on existing articles. These commentaries will be refereed and are presented along side the original in later editions. This journal is to serve as a forum for social studies scholars from around the world to present and discuss common concerns in global, international and transnational issues in social studies education. International Journal for Social Studies is an international, open access journal with rapid peer-review, which publishes works from a wide range of fields, including anthropology, criminology, economics, education, geography, history, law, linguistics, political science, psychology, social policy, social work, sociology and so on. Social Sciences is published monthly online by Edupedia Publications Pvt Ltd.
High visibility: Indexed in Scopus and other databases. Rapid publication: manuscripts are peer-reviewed and published online. International Jouranl for Social Studies is a multi disciplinary journal dedicated to social sciences. The purpose of this journal is to provide a forum for reporting on research relating to social studies content, teacher education, and technology. Although research reports and theoretical articles which address social studies technologies in teacher education are the main focus of the IJSS Journal, we are also interested in publishing scholarly research on social studies teacher education that makes creative use of technology in the presentation of the article on the Web. Because the journal provides a unique opportunity for dialogue, we encourage commentary on existing articles. These commentaries will be refereed and are presented along side the original in later editions. International Journal for Social Studies (IJSS) has principal purpose to publish scholarly work in the social sciences defined in the classical sense, that is in the social sciences, the humanities, and the natural sciences. The research that is published may take a theoretical or speculative model as well as statistical and mathematical. Contributions are welcome from all fields which have relevant and insightful comments to make about the social sciences. 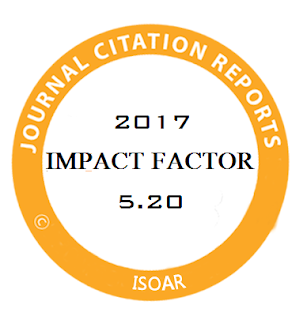 The journal also includes a Research Note section which is devoted to supporting scholarly research that is in progress. The journal has a well-established book review section which reflects the academic and intellectual diversity. Our vision is for India is to be the most dynamic and stimulating environment in which to engage in research, development & innovation. Working with authors to publish exceptional content is just the start of our mission. We are committed to ensuring that our journals are disseminated worldwide, so that researchers are able to access our content wherever & whenever they need it. We work closely with the international library community to male our journals collection a realistic option for institutions of all sizes. International Journal for Social Studies has continually grown with technology advances to ensure researchers can access the latest content in the most convenient format. We are constantly evolving our publishing to increase the usage and discoverability of our content. We embrace new technologies and formats to effectively provide content in intuitive ways for the research and professional community. All of our journals are mobile optimized. International Journal for Social Studies (IJSS) is an internationally recognized peer-reviewed journal designed to foster the dissemination of ideas and research findings related to the social studies. IJSS is the official publication of Edupedia Publications Pvt Ltd and we are committed to free publication of research papers under Pen2Print Scholars Support Scheme. The goal of the peer-reviewed journal International Journal for Social Studies is to capture and enthuse elementary teachers across the country by providing relevant and useful information about the teaching of social studies to elementary students.The teaching techniques presented in this peer-reviewed journal are designed to stimulate the reading, writing, and critical thinking skills vital to classroom success. International Journal for Social Studies our flagship, peer-reviewed journal, contains a balance of theoretical content and practical teaching ideas. The award-winning resources include techniques for using materials in the classroom, information on the latest instructional technology, reviews of educational media, research on significant social studies-related topics, and lesson plans that can be applied to various disciplines. The purpose of the International Journal for Social Studies is to serve as a forum for social studies scholars from around the world to present and discuss common concerns in global, international and transnational issues in social studies education. The first issue will be in February of 2015. We welcome submissions of scholarly research that address the purpose and mission of the journal. The journal will continue to be published biannually in the spring and fall. After registration, a manuscript can be submitted electronically. International Journal for Social Studies (IJSS) with ISSN 2455-3220 is an open access, peer-reviewed international journal that deals with both applied and theoretical issues. Special Issues devoted to important topics in social science will occasionally be published. The main objective of JSS is to offer an intellectual platform to the international scholars and it aims to promote interdisciplinary studies in social science. The Internatinoal Journal for Social Studies is the official journal of the Pen2Print. The principal purpose of the journal is to publish scholarly work in the social sciences defined in the classical sense, that is in the social sciences, the humanities, and the natural sciences. The research that is published may take a theoretical or speculative model as well as statistical and mathematical. Contributions are welcome from all fields which have relevant and insightful comments to make about the social sciences. International Journal for Social studies is the integrated study of the social sciences, humanities and history. Within the school program, social studies provides coordinated, systematic study drawing upon such disciplines as Anthropology, Archaeology, Economics, Geography, history, jurisprudence, philosophy, political science, psychology, religion, and sociology, as well as appropriate content from the humanities, mathematics, and natural sciences. The primary purpose of International Journal for Social studies is to help young people develop the ability to make informed and reasoned decisions for the public good as citizens of a culturally diverse, democratic society in an interdependent world. The field is motivated by a desire to understand and explain real-world social phenomena while academia in the field is not purposely directed towards that end. Instead, social scientists are taught a theoretical framework and then apply it to every problem they work on. Academics are rewarded by publishing papers in peer-reviewed journals. Examples of theoretical frameworks are critical analysis, new institutionalism and instrumental variables. These are applied singly and little effort is dedicated to reconciling conflicting hypotheses or results emanating from the use of differing frameworks. Proposed theories are seldom tested in practice as seldom make an attempt to predict outcomes and in the cases they do, they come with large margins for error. Forwarded hypotheses may also either be untestable or the test may require larger resources to test than anyone is willing to provide. Thus hypotheses in the field gain support for other reasons than their ability to account for empirical observations. International Journal for Social Studies provides coordinated, systematic study drawing upon such disciplines as anthropology, archaeology, economics, geography, history, jurisprudence, philosophy, political science, psychology, religion, and sociology, as well as appropriate content from the humanities, etc. International Journal for Social Studies provides opportunities for students to develop the attitudes, skills and knowledge that will enable them to become engaged, active, informed and responsible citizens. Recognition and respect for individual and collective identity is essential in a pluralistic and democratic society. Open Access free for readers, free publication for well-prepared manuscripts submitted in 2017. Rapid publication: manuscripts are peer-reviewed and published online approximately 10 days after submission; acceptance to publication is undertaken in 6 days. International Journal for Social Studies is an international, scholarly open access, peer-reviewed and fully refereed journal focusing on theories, methods and applications in Social Studies. As an international, online-only journal it is devoted to the publication of original, primary research (theoretical and empirical papers) as well as practical applications relating to Social Studies. All the published articles in International Journal for Social Studies are open access and any research scholar or reader can access them without any charge. Please give due reference to the published article if referred in any format or media. Thanks for contributing articles in International Journal for Social Studies.